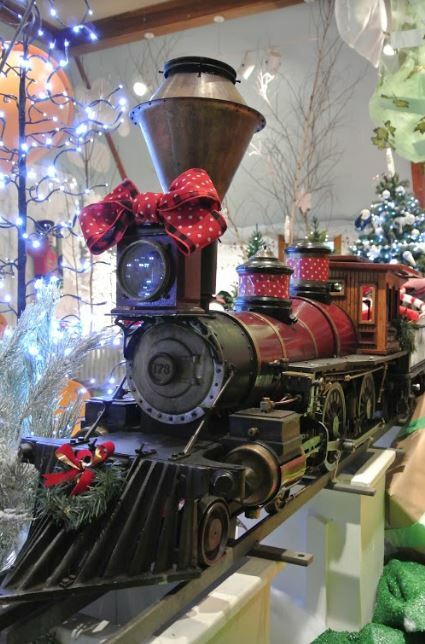 KIRTLAND – Northeast Ohio’s “wildest” holiday tradition continues this year. The Wild Days of Winter game is played just like the iconic board game CANDY LAND, but with a “natural twist.” An indoor magical wonderland brings this favorite family game to life! Take a turn on the life-sized game board, move along from space to space through all the seasons and discover through interactive play the many things that nature gives us. In addition, children will enjoy making a craft, completing activity pages and going on scavenger hunts both indoors and out! It’s wild fun for the whole family! Explore the park on snowshoes. Rentals of shoes designed to fit most sizes are available, weather permitting. Candy Land has Gone Wild is free for all ages. The game opens at noon Saturday, November 19 at Penitentiary Glen Nature Center. The fun continues noon to 5 pm daily through January 1, 2017, with the exception of Thanksgiving. Christmas Eve, Christmas Day and New Year’s Eve when the exhibit will be closed. Supporting sponsors include Playground World, The Lakeshore Live Steamers, The News-Herald and Today’s Family Magazine. Continue your adventure with hands-on activities both indoors and out. Indoor and outdoor scavenger hunts that explore nature. Make a “bee” craft to take home. Watch and listen for wildlife at the many bird feeders in the Nature Center’s Window on Wildlife. Explore the many hands-on Nature Center exhibits. Sit, relax and enjoy hot beverages in Snowshoe Lodge. Shop in The Nature Store for great nature- and wildlife- inspired holiday gift ideas including local honey and maple syrup, Penitentiary Glen sweatshirts and t-shirts, field guides and books for adults and children, binoculars by VORTEX, and birdfeeding supplies. Refreshments also available. Visit the Kevin P. Clinton Wildlife Center animal rehabilitation facility to learn about and meet native Ohio wildlife up close. View a red fox, a bald eagle and many other birds of prey. Make this year’s gift a wild one! The “Adopt an Animal” program provides a unique, thoughtful gift idea that helps to cover the cost of animal care! Ask at The Wildlife Center for more information. Explore more than 8.5 miles of hiking trails open year round. Go for an adventurous walk on snowshoes (rentals available through the season as weather permits). 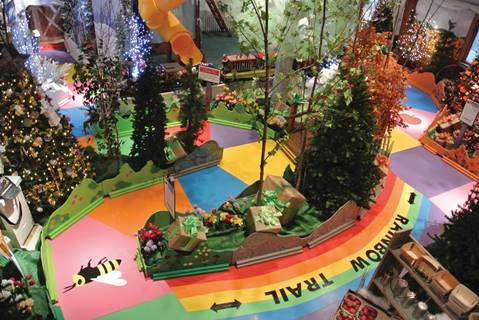 Join us for these special free activities 1 to 3 pm Saturday afternoons during the Candy Land has gone WILD! December 17 – Maple SyrupFor more information visit website. Penitentiary Glen Reservation is located at 8668 Kirtland-Chardon Rd in Kirtland (44094). The park features 424 acres of forest, fields, wetlands, and 8.5 miles of hiking trails and has been designated by the Ohio Department of Natural Resources, Division of Wildlife as a “Watchable Wildlife” site. For more information, visit http://bit.ly/penitentiary-glen-reservation or call 440-256-1404.
visit the Lake County Convention and Visitors Bureau. For more Ohio fun visit NorthernOhioTourism.com.